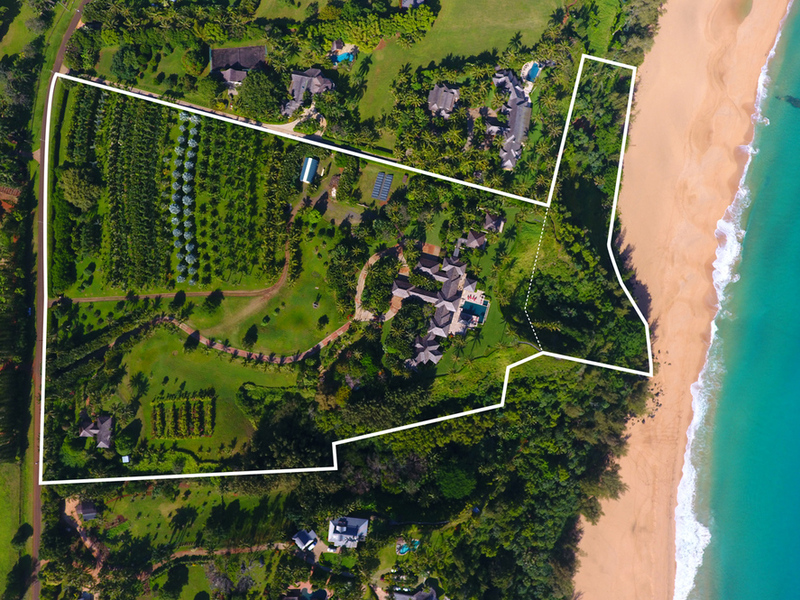 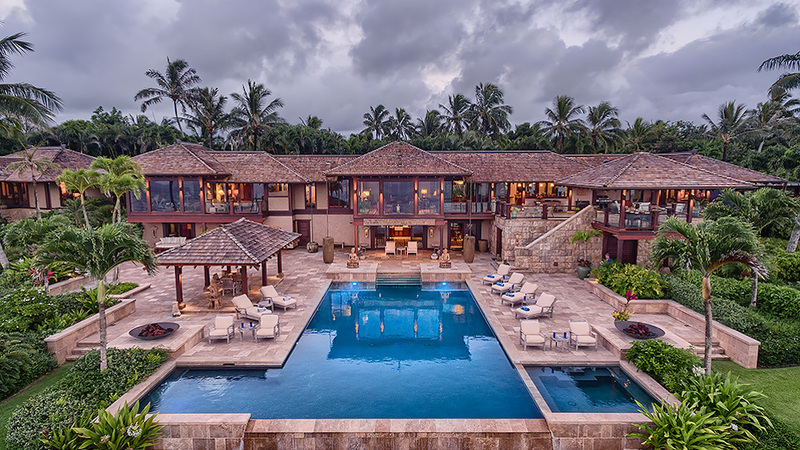 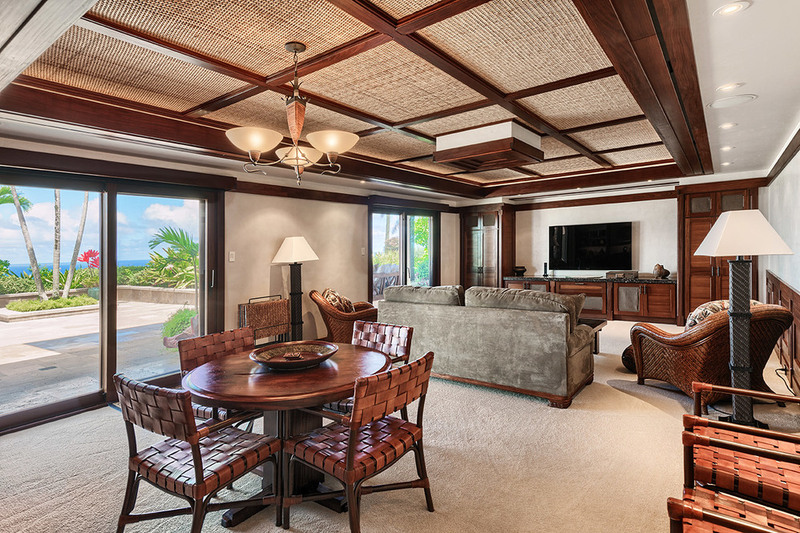 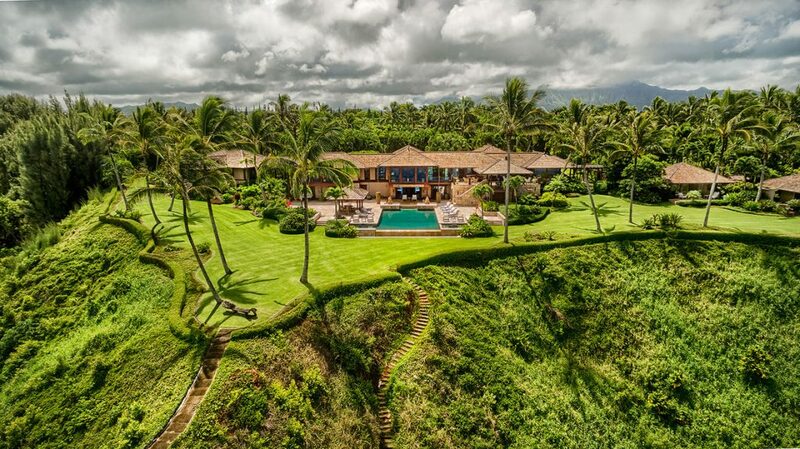 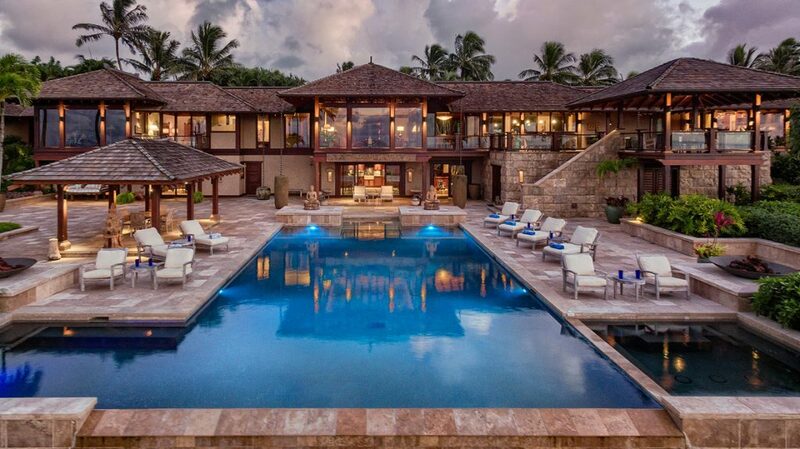 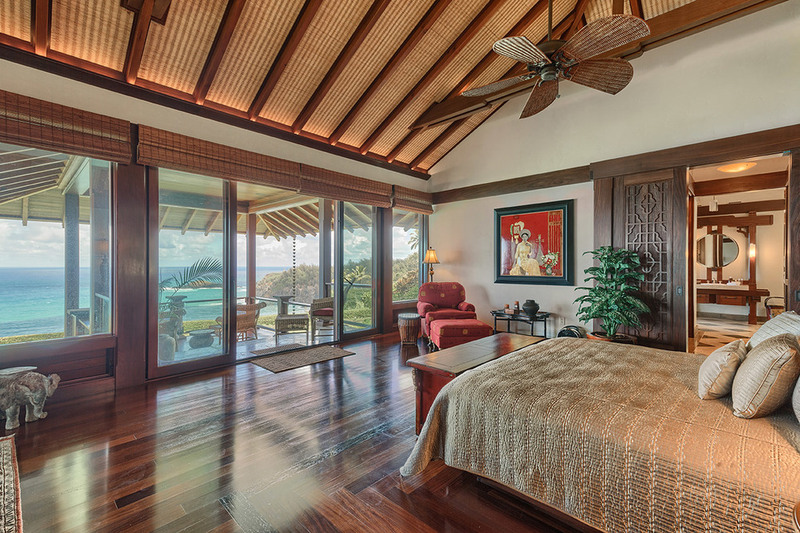 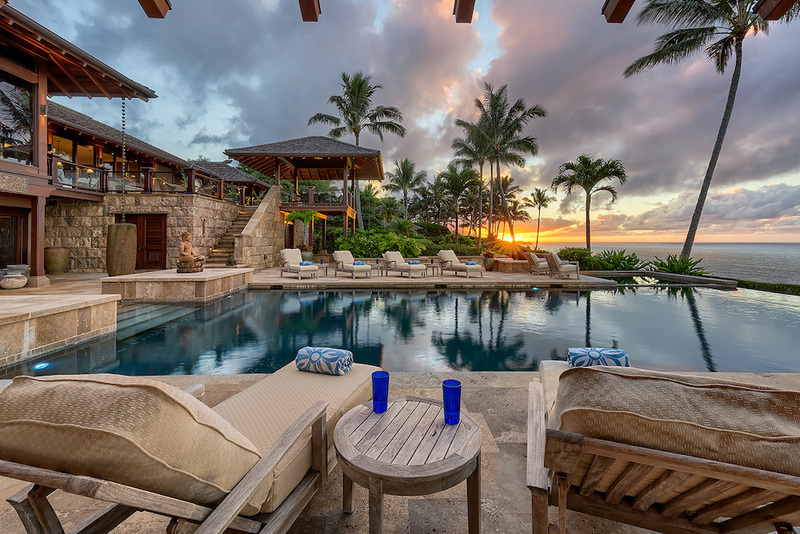 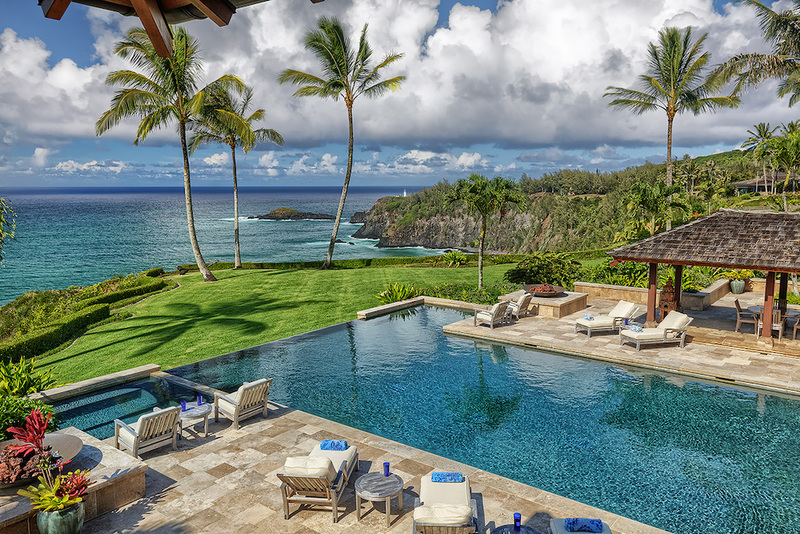 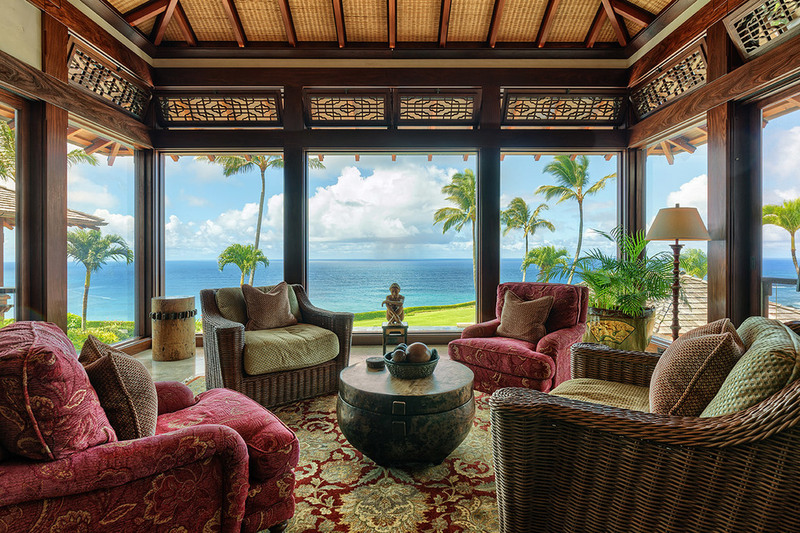 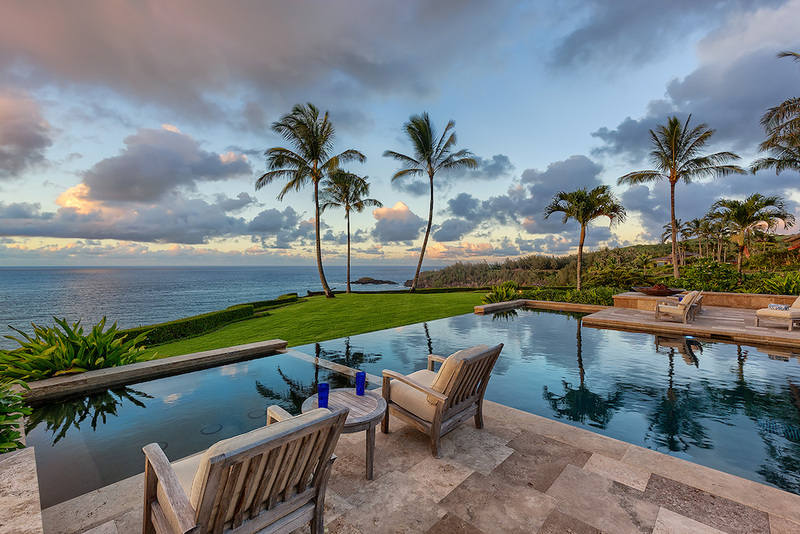 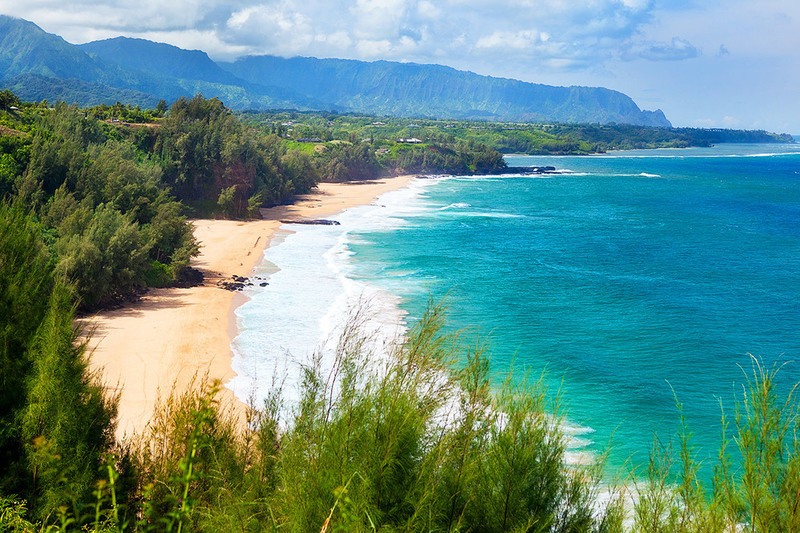 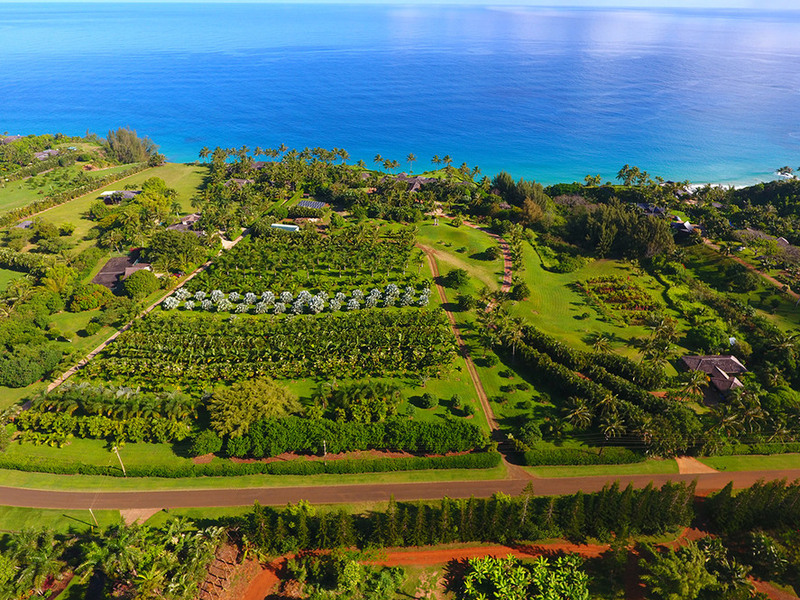 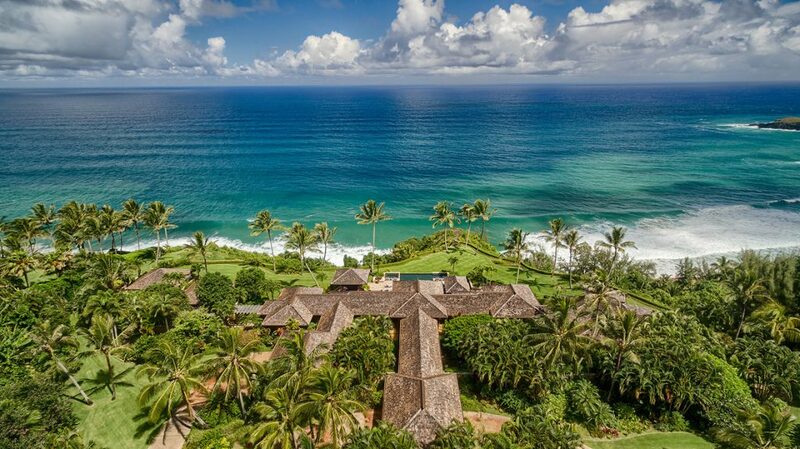 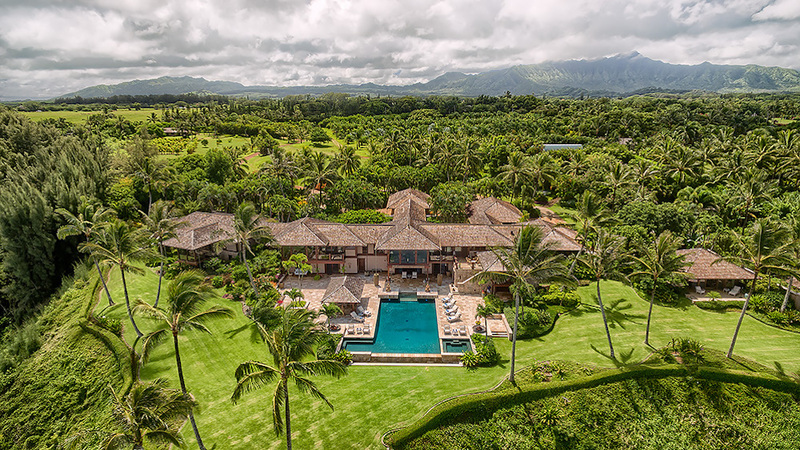 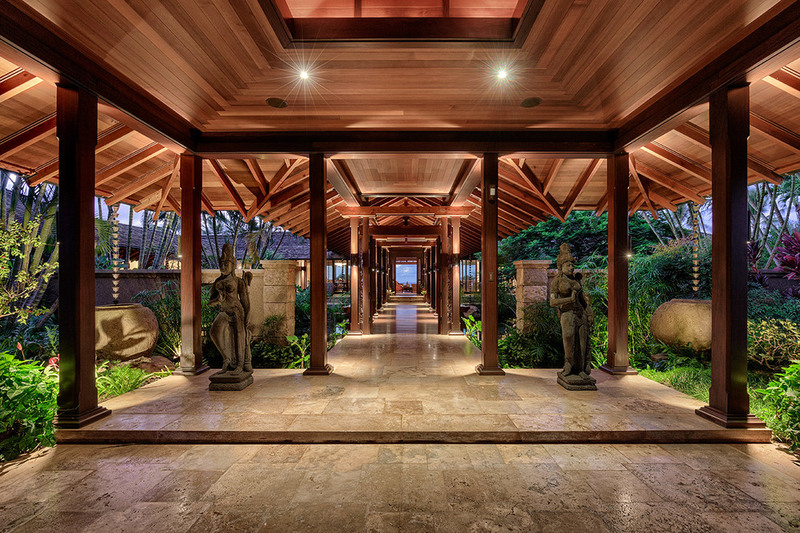 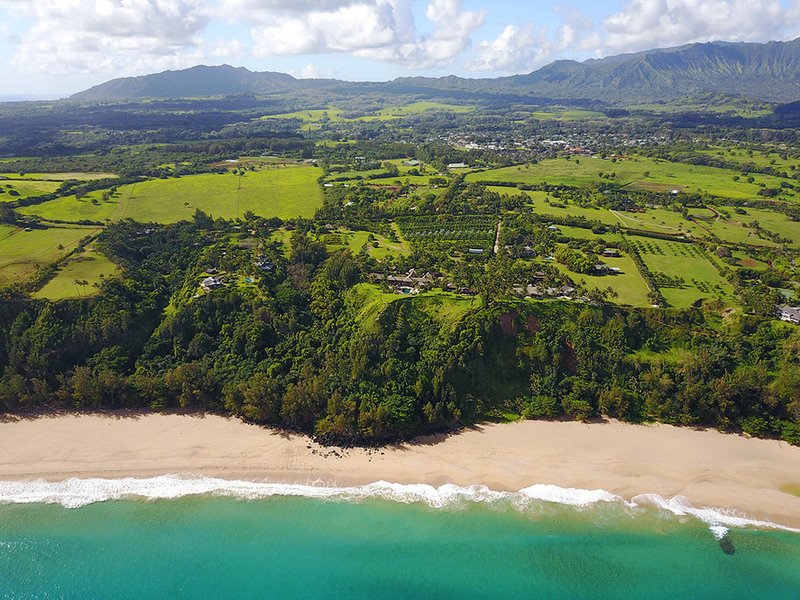 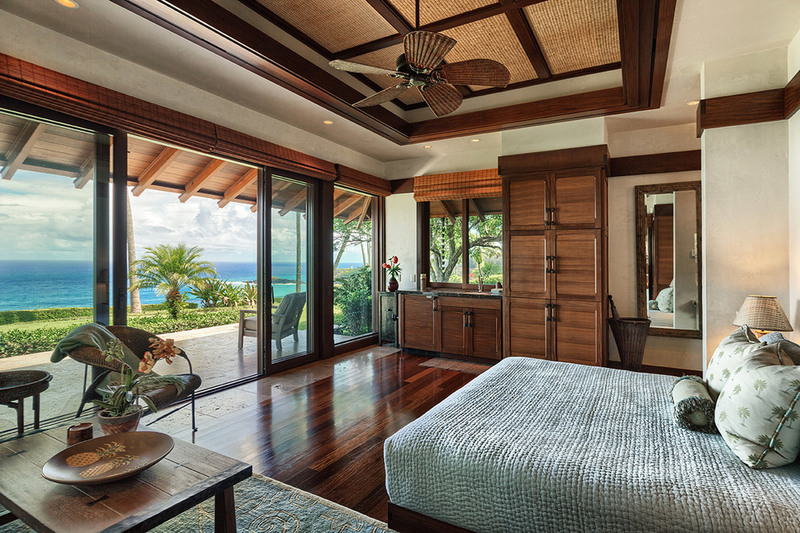 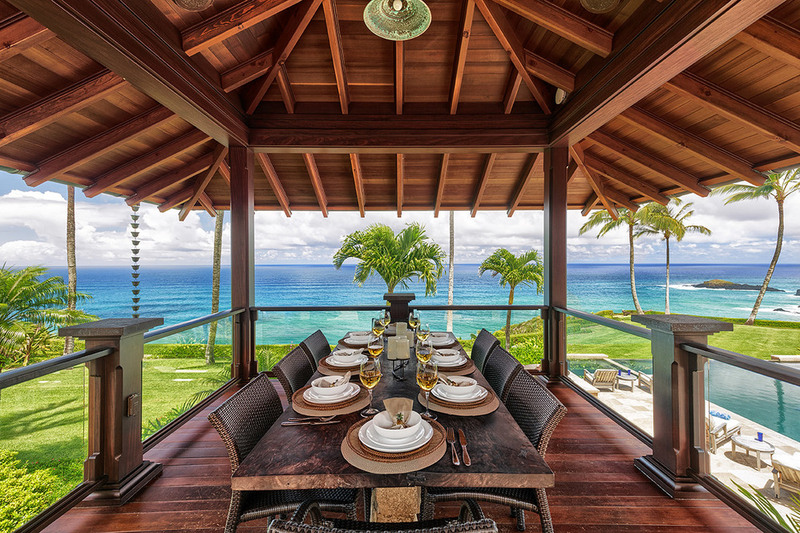 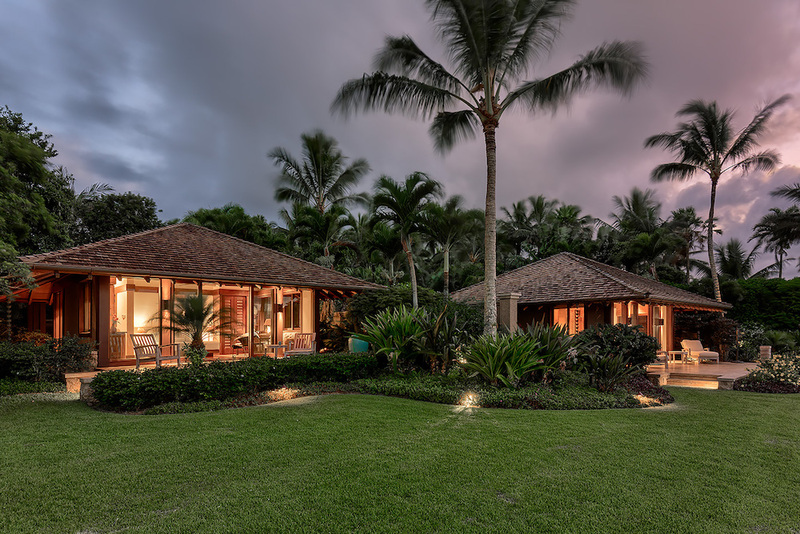 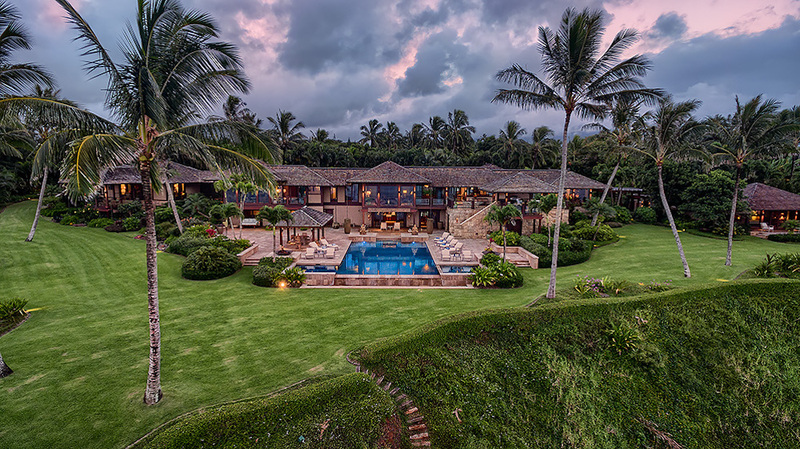 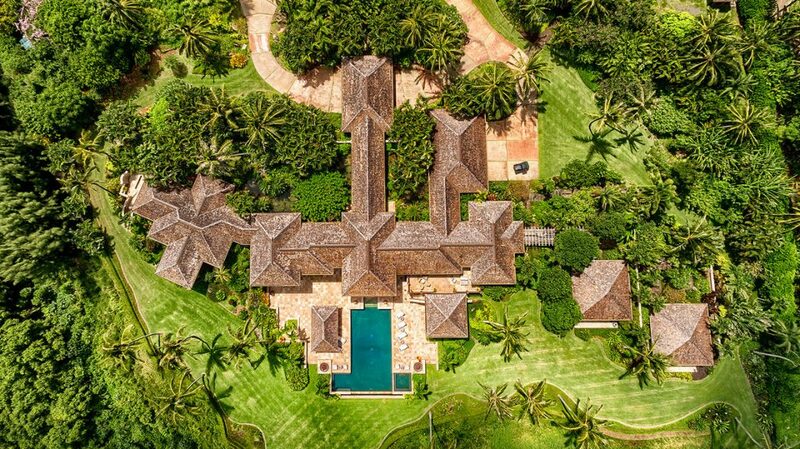 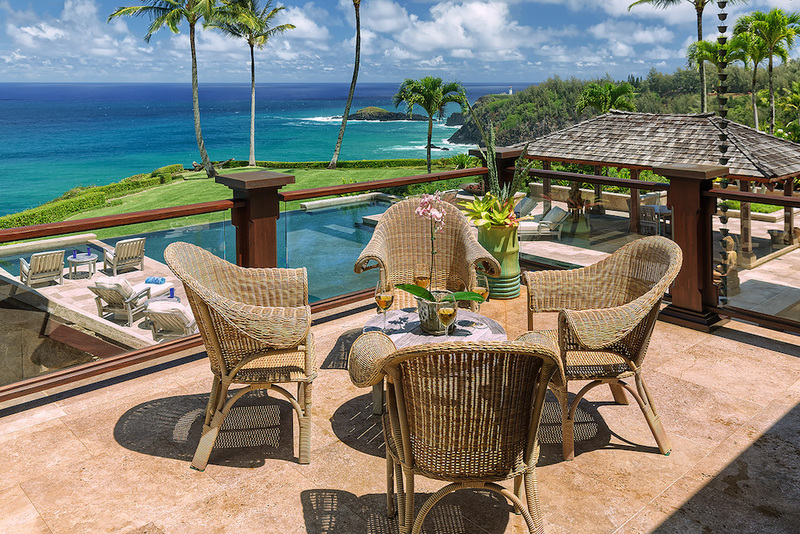 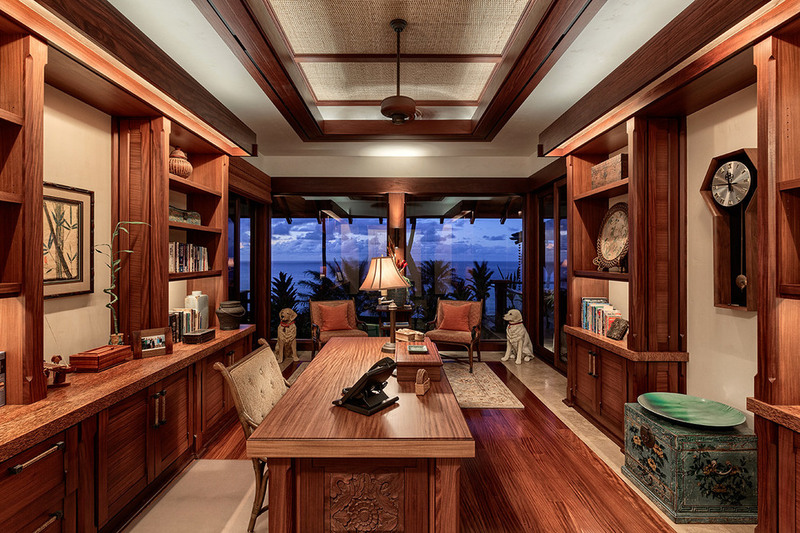 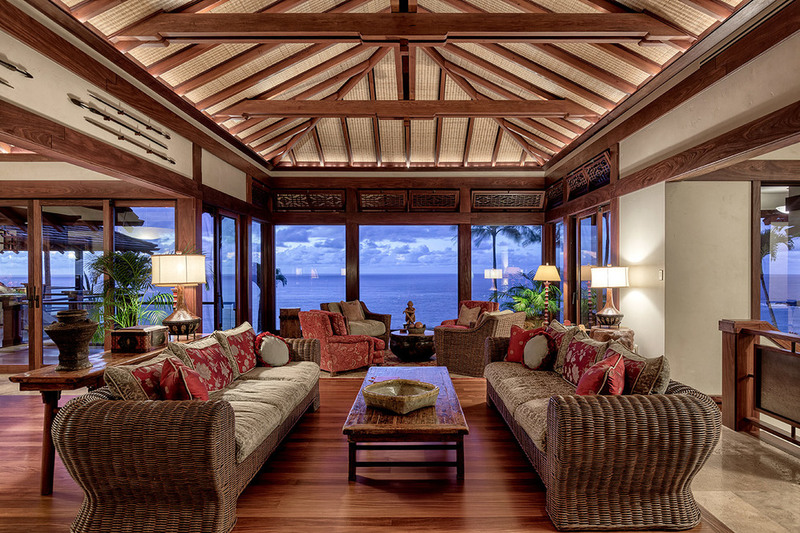 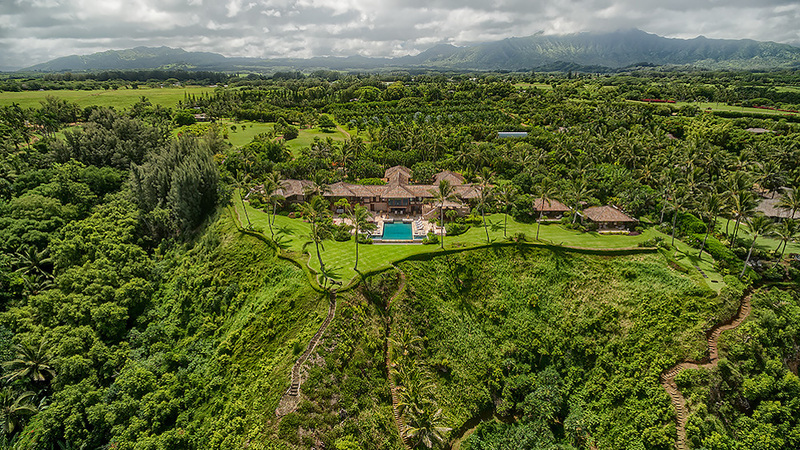 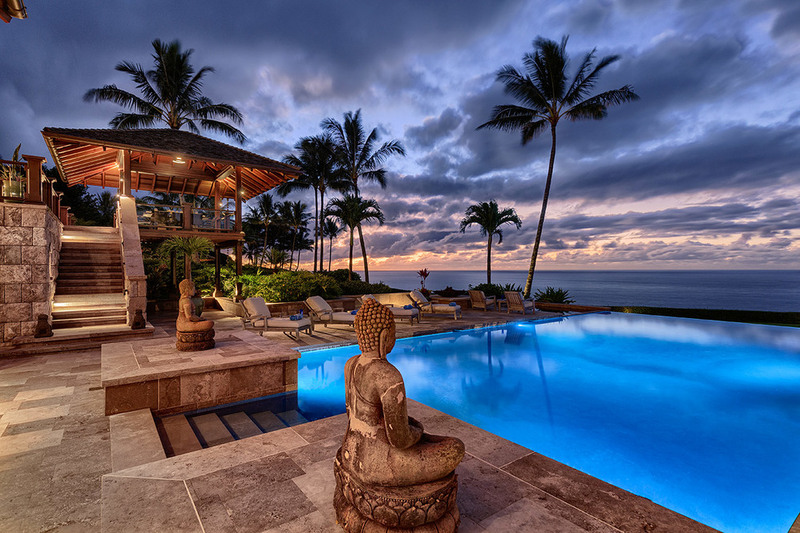 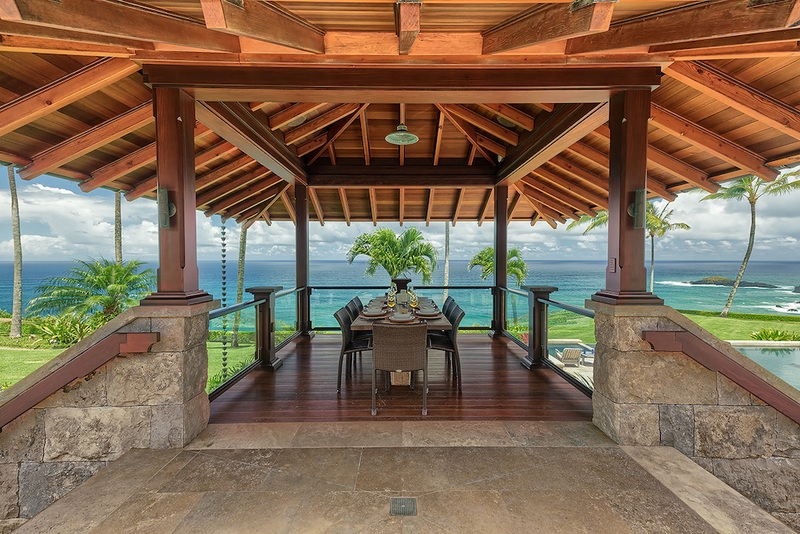 One of the most impressive offerings in all of Hawaii has sold for $46,100,000. 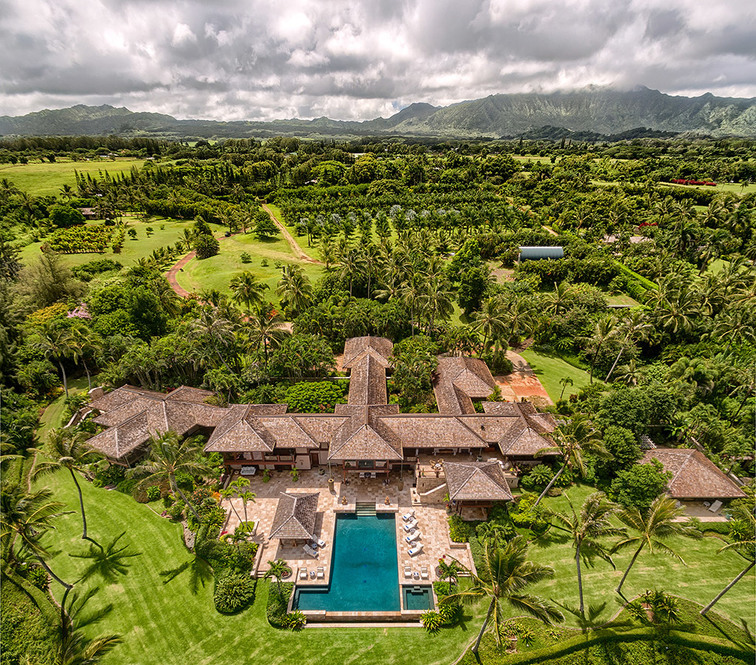 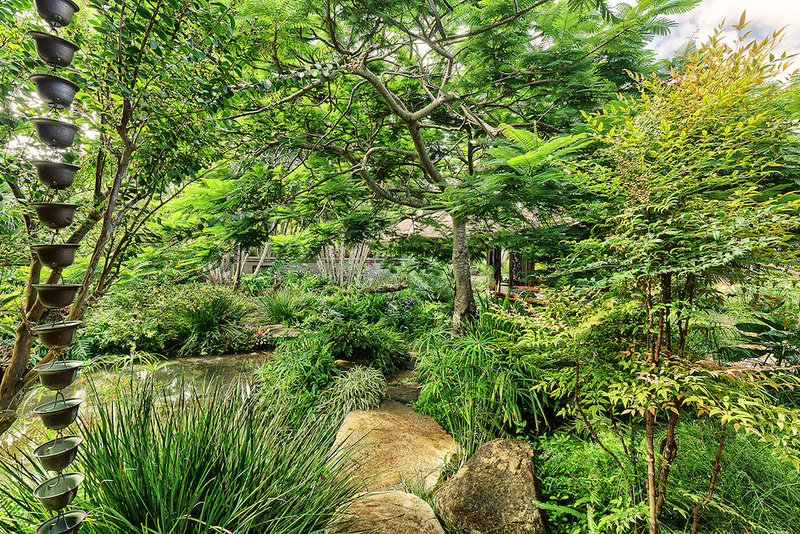 The lush 15 acre paradise with active farm was previously on the market for $70,000,000. 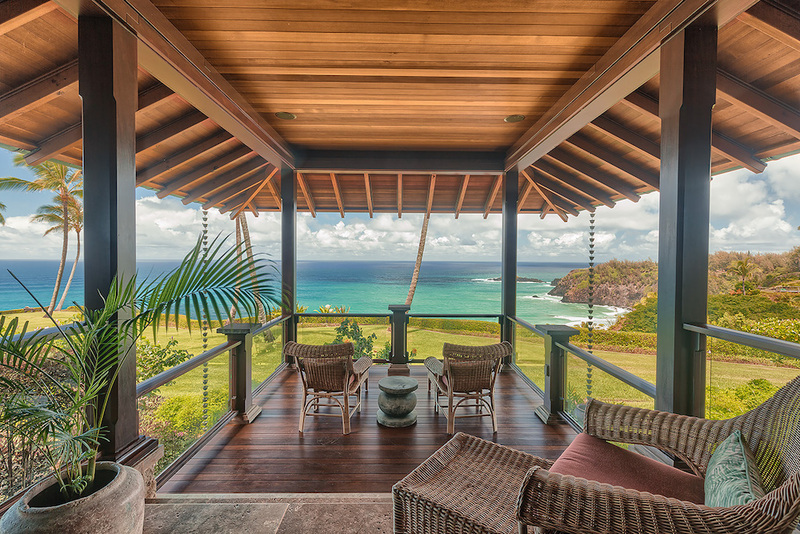 The bluff top location offers incredible views of pristine water, a historic lighthouse and rich volcanic mountains, while a world class white sandy beach is at the end of your private steps. 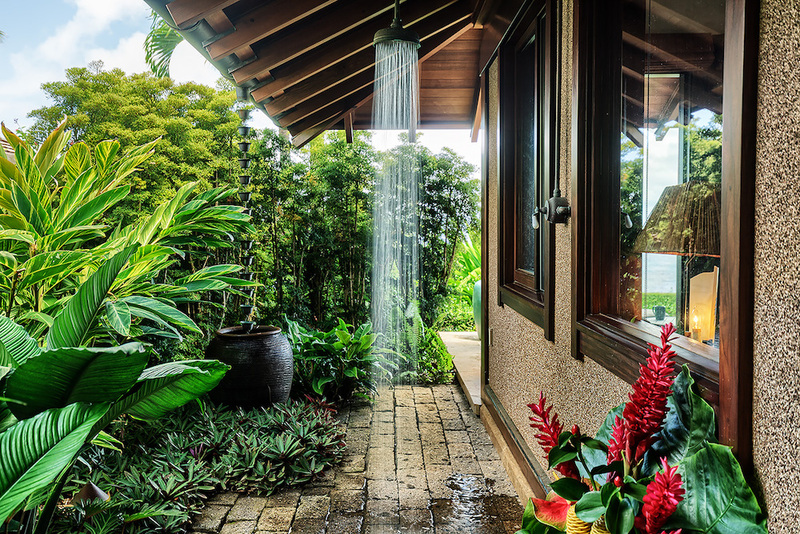 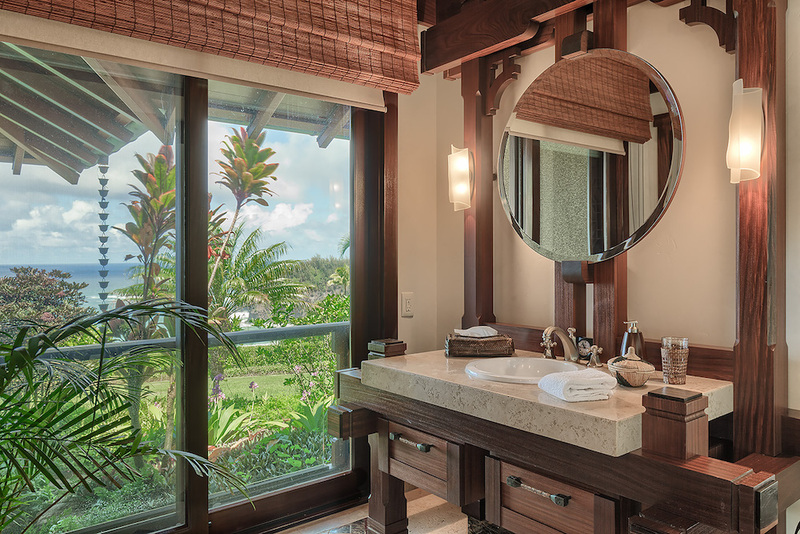 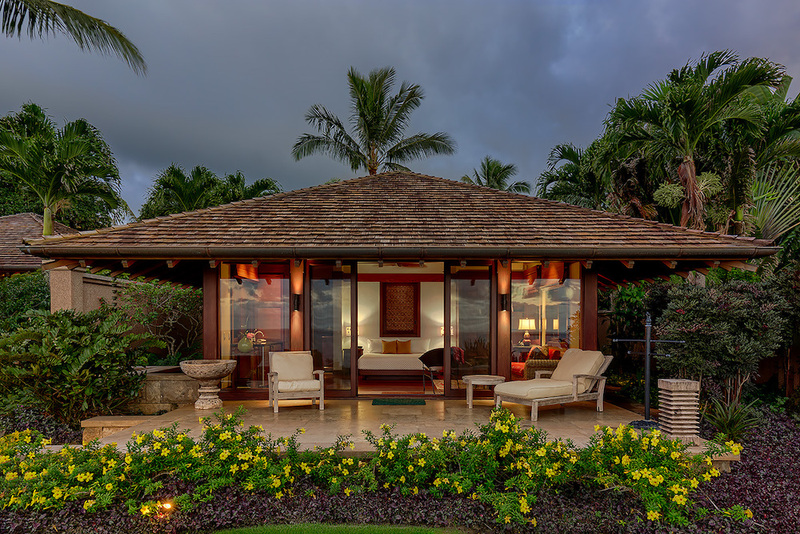 It’s known as Hale ‘Ae Kai, includes a 10,000 square foot main house, two guest pavilions, a nearby caretaker’s residence and there is also more than 8,000 square feet of exterior decks, covered areas and lanais. 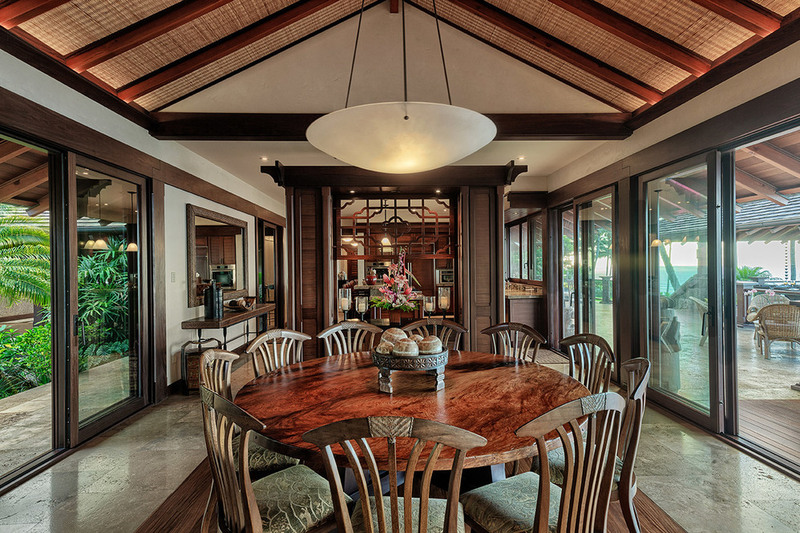 The central pavilion of the main house is accessed across a 3,500 square foot pond and includes an expansive gourmet kitchen, dining area, living room, office and bedroom with ensuite. 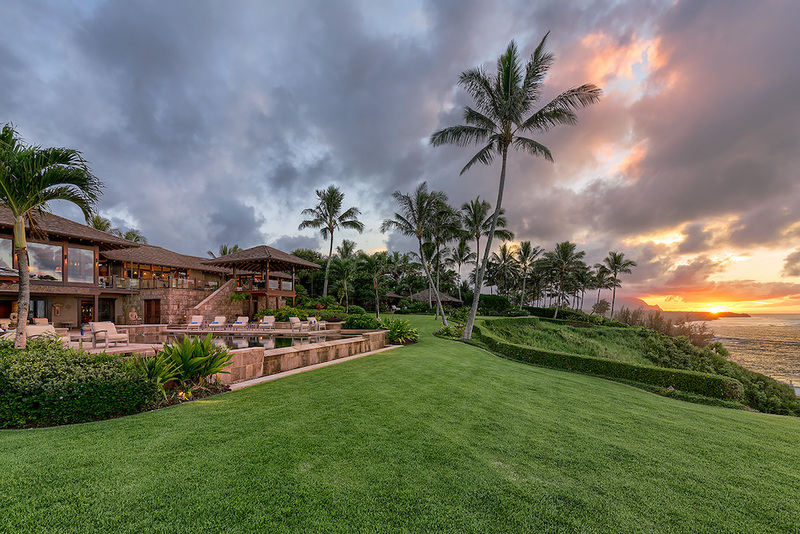 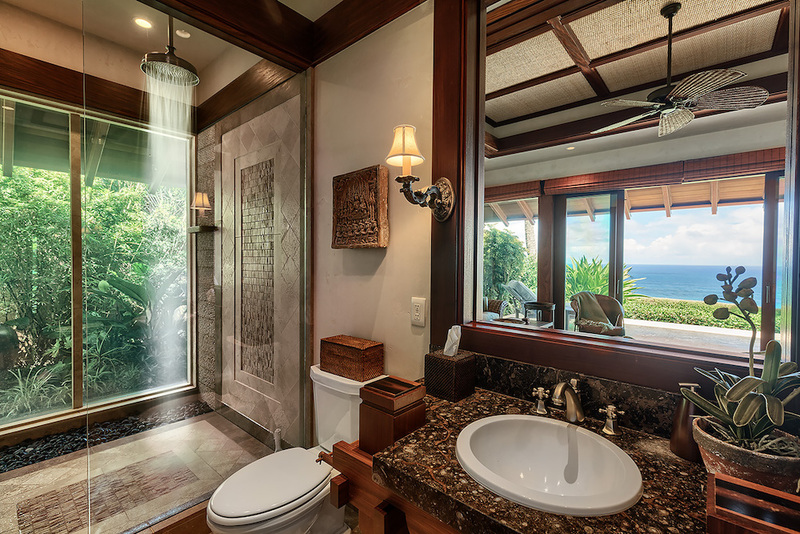 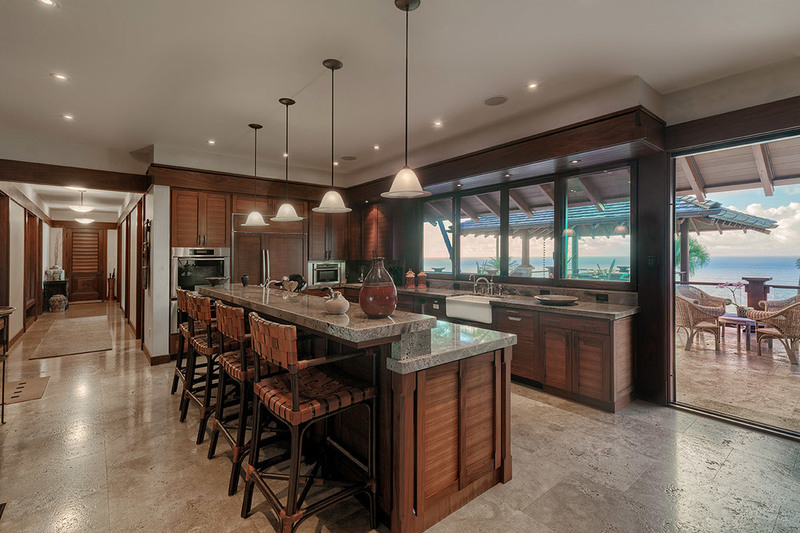 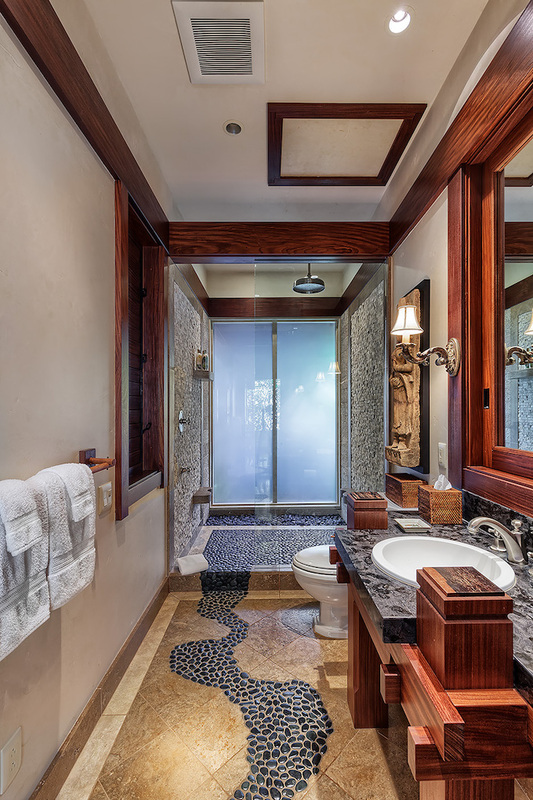 The property includes a total of 6 bedrooms and 8 bathrooms, including an 1,100 square foot master suite with bedroom, living area, wet bar, an indoor & outdoor shower with lanai and stunning ocean views. 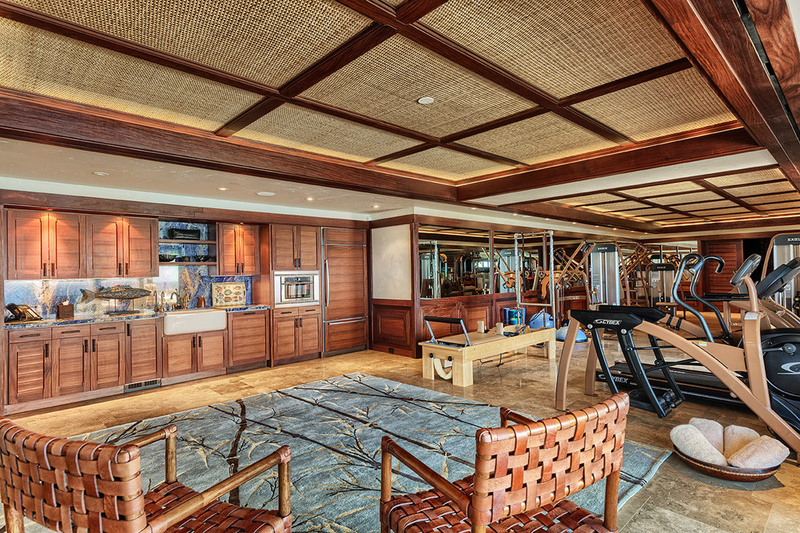 On the ground floor there is a media room, full bathroom with shower, a state-of-the-art exercise room, and a full bar that serves the swimming pool area as well as the lower level. 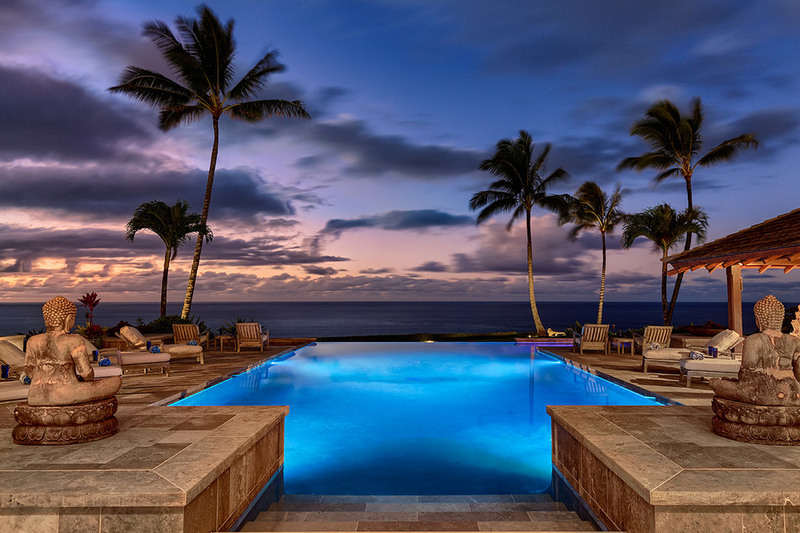 An expansive stone patio surrounds the 1,600 square foot infinity pool and jacuzzi with breathtaking ocean views. 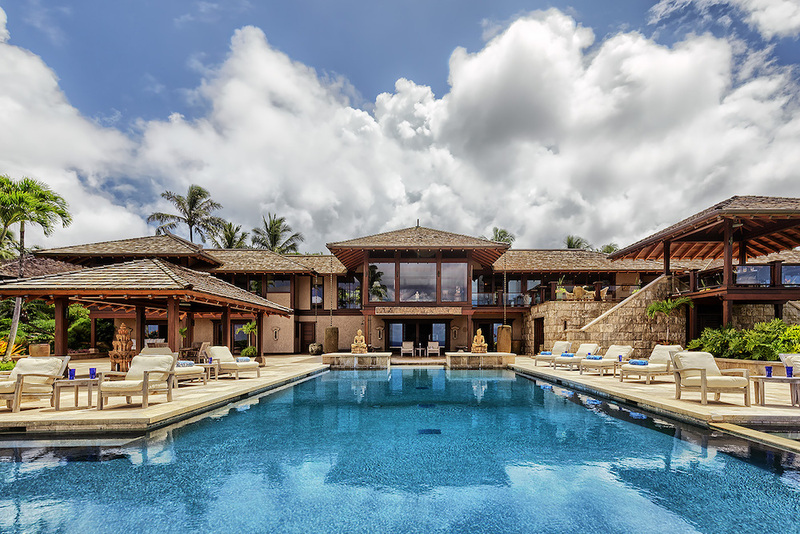 The property allows for more buildings, homes, athletic courts, spa or pool facilities. 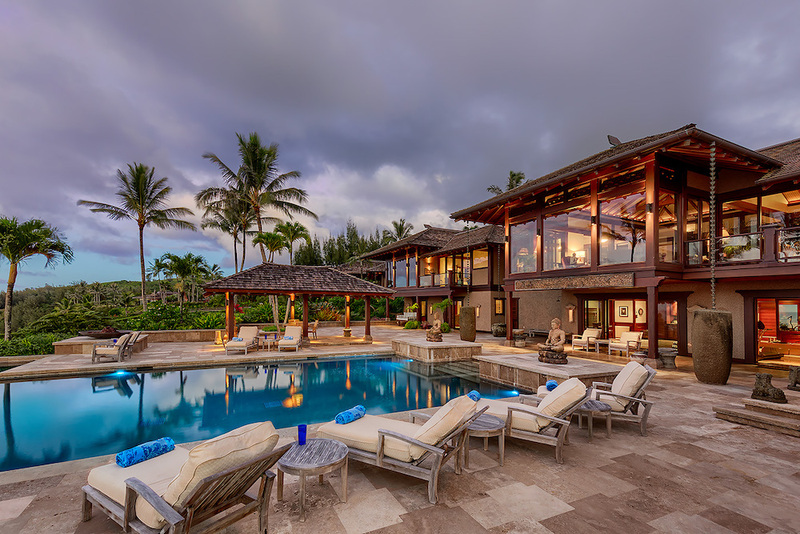 It is also an active vacation rental with rates starting ranging from $4,500 – $15,000 per night. 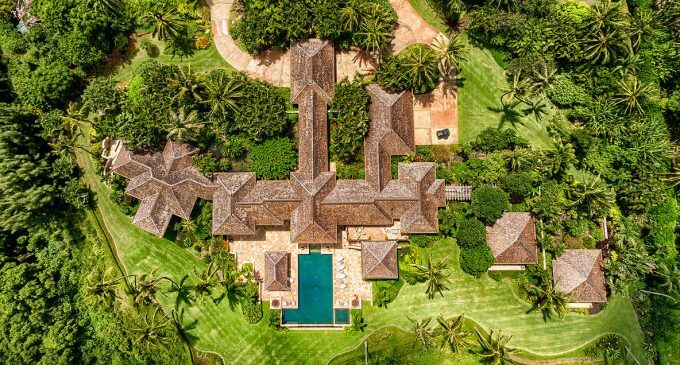 It was on the market for $70,000,000 with Hawaii Life.